This Thanksgiving, dine out instead of in. Treat your family to an authentic Thanksgiving meal at some of our favorite festive restaurants in the South Bay. 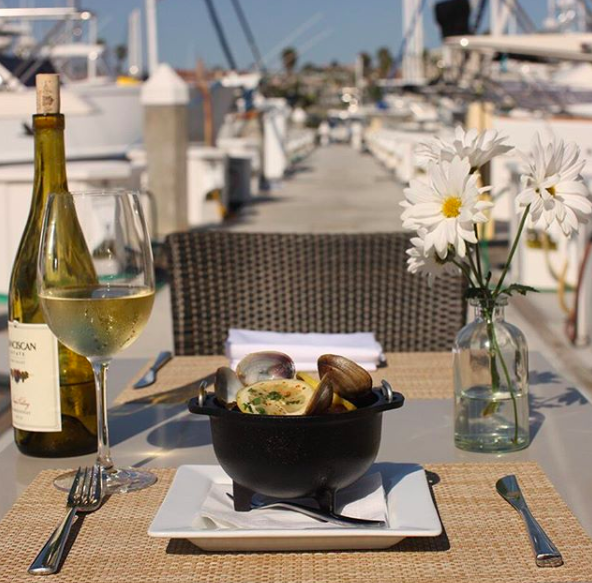 Sea Level offers incredible ocean views and top-notch food and service. 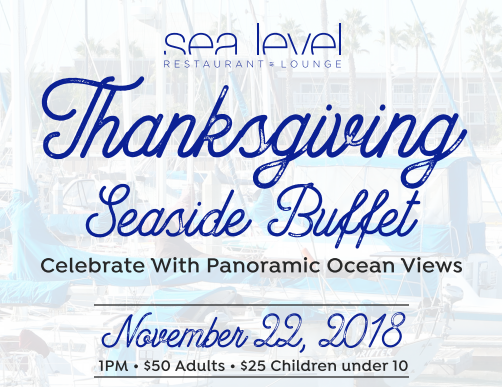 This year, the Thanksgiving Seaside Buffet features a wide selection of delicious entrees at an extremely reasonable price. They will be serving a classic turkey and ham, with all of your favorite sides and desserts to choose from. For more information and to make reservations click here. If you’re looking for a sit down, three-course Thanksgiving feast, Fleming’s is the place for you. Their Thanksgiving menu includes mouthwatering dishes including a Mixed Herb-Roasted Turkey Breast. No worries if you plan on bringing little ones, Fleming’s brings the kids table to you with a three-course Thanksgiving Children’s Menu for $19. Book reservations here. A local favorite, The Kettle serves a classic Thanksgiving dinner. 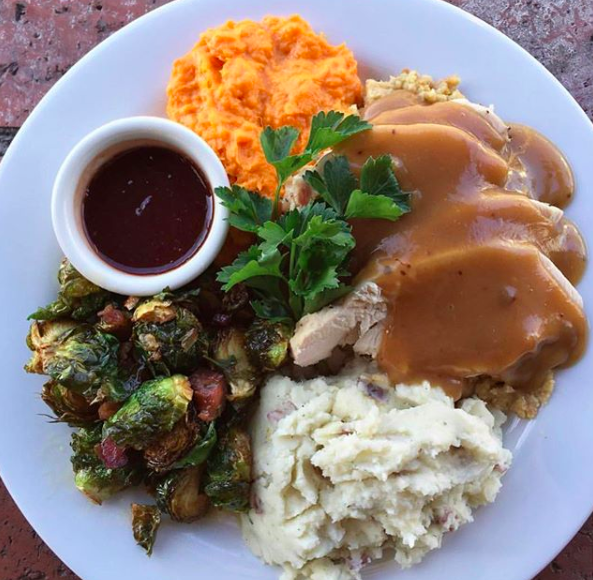 With white and dark meat turkey, maple mashed yams, crispy brussels sprouts and pumpkin pie – it is guaranteed to steal your heart. Rated one of the top waterfront restaurants in LA, Baleen Kitchen offers a Thanksgiving menu with more than just turkey. Begin your feast with a light soup or a flavorful cornbread bruschetta. Then, pick from a classic plate of turkey and sides, or try one of their incredible entrees: braised short rib, pistachio crusted salmon, or spinach fettuccine.